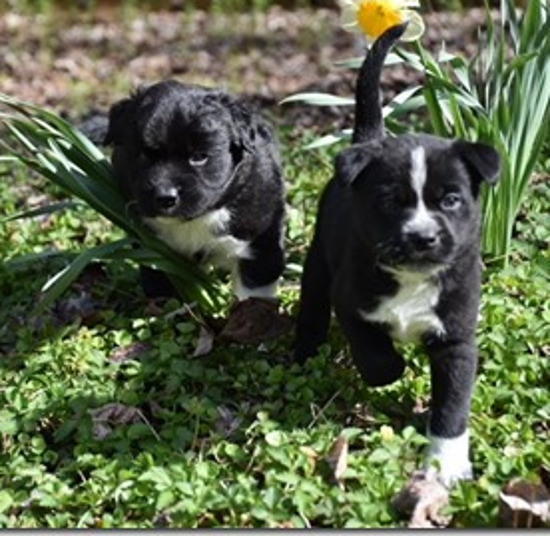 “STRONG WOMEN” THEMED PUPPY: 2 Months old / Medium to large once full grown Mostly Mutts adoption center is open Mon-Sat. 11-4pm. 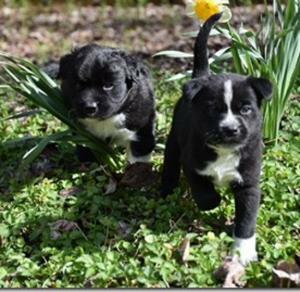 Some of us are in foster homes so please call 770-272-6888 1st to find out if I’m available to meet during the week. I came to MM’s with my sisters and mom when I was 1 day old. I’ve been having a great time in my foster home and now I’m ready to find my very own family to grow up with! My foster family says that I’m a little sweetie pie who love to play with toys and with my sisters! I also like to give lots of kisses, and I love to be held. I come running the minute I see you and I’ll stay right by your feet patiently waiting to be picked up. I can see myself enjoying the good life already with my furever family! 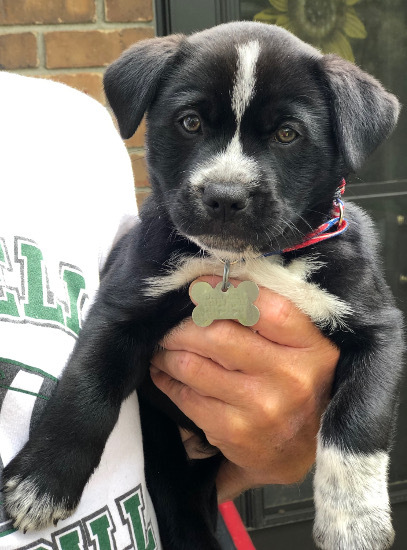 I’m just a baby, so please be prepared to teach me everything a great pup needs to know because like all puppies, I'll require a devoted owner who will take the time to train me, so I'll grow up to be a polite and well-trained adult dog. 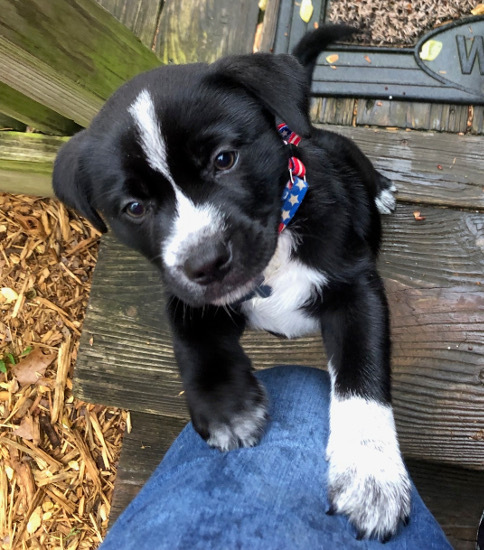 I also have very sharp puppy teeth so have lots of things for me to chew on and start gently training me not to chew on you or the kids, so we'll all be happy! Energy level: Currently 5-7. I'm spayed, micro-chipped and have started my puppy shots, but you will have to finish my series of puppy shots as I grow. My adoption fee is $299.00 and includes the above medical treatments, a Martingale collar, leash and engraved name tag too!